xmgbs@xmoat.com Order Online Now ! +86-592-3175321 Call Us Now ! 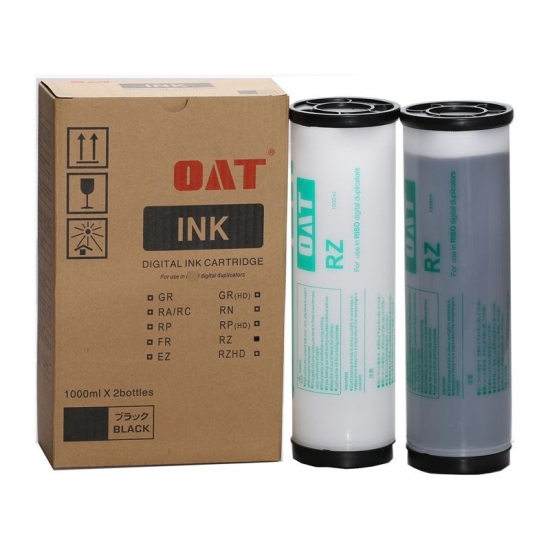 Founded in 1996, Xiamen O-Atronic Computer Material Co.,Ltd.is a leading manufacturer of duplicator ink and master & copier toner cartridge in China. With more than 22 years experience, the products we mainly offering : Duplicator ink and master for Riso, Ricoh, Gestetner, Duplo, Savin, Nashuatec, Rex-Rotary, RongDa digital duplicators, Copier toner cartridge for Canon, Ricoh, Konica Minolta, Kyocera Mita, Sharp, Toshiba, OKI, Panasonic photocopier. and the spare parts for duplicator and photocopier. Our products have been sold to many countries like USA,UK,Russia,Germany, Middle East,Japan,Korea,South America, North America etc. We enjoy a high reputation in overseas market and get 71.3% of market share(ink and master) in China, due to our high and stable quality with long shelf life, reasonable price and good after-sales service. Through years of effort, certified by ISO9001 & ISO14001, we have developed into Hi-tech industrial company with robust comprehensive strength, a mature management system, and an extensive distribution network. We have branches in many provinces of China, and develop agents overseas. Xiamen O-Atronic will be oriented to the principle of "Emphasizing high quality, good service and mutual benefits" and the philosophy of "honesty, diligence, union and renovation", make continuous efforts towards greater progress and share the happiness brought by technical development and social advancement with various social circles.